ate some chicken hearts with my old neurobiologist physicist friend bruno..
..and then gave a two-hour workshop introducing his graduate students to r.
noted for next time: send out a pre-lecture packet and make sure to conclude with some graphics. appreciate the expansion of google flu trends into google correlate. rather than forcing the search topic, they now let you experiment with the timing and wording of correlations. walked through the botanical gardens. 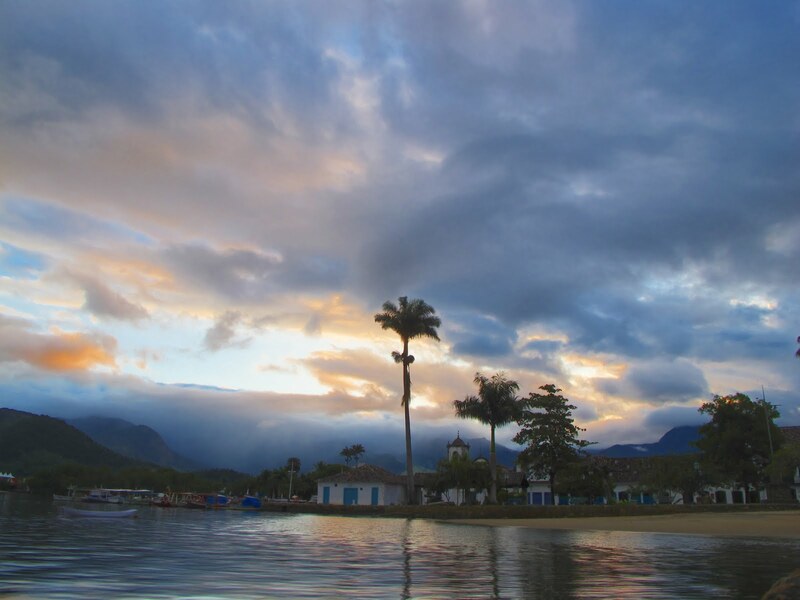 hopped on a bus to paraty, seen here via doctored-up photo..
..and here, impersonating venice a bit too well. felt torn. so many places i want to be. our richer expenditures of time have the unfortunate side effect of reminding us of the limitlessness of experience under a finite clock. found a good description of my own country, now..
‘america created the 20th century,’ gertrude stein wrote in the autobiography of alice b. toklas, ‘and since all the other countries are now either living or commencing to be living a 20th-century life, america having begun the creation of the 20th century in the sixties of the 19th century is now the oldest country in the world.’ she meant, quite reasonably, that america was the oldest country in the world because it was the first to be modern. ..and an in-depth look at brazil's rise. enjoying the approval of 80 per cent of its citizens. by any criterion, luiz inacio da silva is the most successful politician of his time. strolled along the beach to see..
don't fully understand the portuguese language, but love it anyway..
..for example, the word for 'the' is 'o', so you constantly think people are lamenting something when they're just neutrally introducing it. this plaque should not be confused for walt whitman's hit single, "oh captain! my captain!" ..also, i think that milkshake carried a choking hazard warning, but i'm certain it was delicious. toured the famous lapa aqueduct. can't explain it, but the whole country smells good. headed home before homesickness stung. a warm and wonderful place to be.